Some of you may have heard the story of the truck stuck under the bridge and the dilemma of how to get it unstuck. If you don’t know it, I’ll share it at the end of this post. I thought about that story at a recent professional meeting where the topic was developing a global mindset. All of the speakers had interesting perspectives to share and one in particular made a point that was particularly thought-provoking. His company’s research had shown that experiencing another culture had a significant impact on one’s strategic thinking. He further explained that “experiencing” a culture didn’t mean going there on vacation for a week or two. It is immersive, longer-term experiences like ex pat assignments or managing global teams where you had to travel to work within their culture. The speaker noted that these assignments have this profound impact because they change your perspectives on the world, how it is organized and how it functions. These different perspectives allow you to be more nuanced in your thinking about how different parts of a whole interact, the variables that impact it, and the implications. How, then, can someone stretch their perceptions and perspectives and develop their strategic thinking when working globally isn’t a possibility? Seek out Projects That Involve Global Teams. It’s not the same as working overseas, but working on projects with global teams is a great start. It will expose you to different ways of thinking, conversing, and decision-making. Regardless of your role, really listen to others. Regularly interact with people in a different function or area of the company. Marketers and engineers don’t think alike. Operations folks think differently from researchers. See how someone different from you may be experiencing the same organization, issues, etc. Interact with those outside your industry. For years, benchmarking was the buzzword when you wanted to get a more strategic perspective and to understand the industry more broadly. The problem is that it is a closed-system approach. Biotechs benchmark other biotechs. Car manufacturers benchmark other car manufacturers. The perspective of someone in a totally different industry about your issue or situation will cause you to think about the variables and interactions more broadly, more strategically. It helps you see the forest for the trees. One of the things that made Steve Jobs so successful at product design was that he thought about products and perspectives he gained from things like digital animation architecture. Hire people who are different from you. I hesitate to say hire for diversity because too often that is narrowly defined. In addition to the more commonly referenced and important diversity categories, we can hire for diversity of thought, experiences, and education. Also, the US has new populations from other cultures within the country that can be brought onto teams. So, if working globally isn’t possible, the US still has a rich population of people to choose from. Then, regularly ask those you’ve hired for perspective and input on the business issues you are working to address. Thinking about your daily business interactions expansively will help you develop the broader perspective needed to think more strategically. Among other things, the story illustrates how important it is to look for and value unique perspectives, especially those outside your typical orbit. Something a more global perspective can provide us. I was having a conversation with a CEO earlier this week. The business is very successful and healthy. But like most CEO’s, he is concerned with growth and what’s next for his company. During our conversation, we talked about taking a step back, what I sometimes call taking in the view from the balcony. This view allows you to see how the different aspects of the business and organization are working together (or against each other) to achieve today’s results. And begs the question… how effectively will our current structure and processes spur that next phase of growth? Taking this view helps you to create growth by design, making it easier to align and integrate purposefully. And it prepares the organization to take that next step. Growth by Design is our framework for helping clients build an organization that can propel them to the next level. It has three core components. 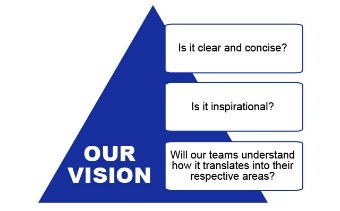 It’s starts with compelling clarity, ensuring alignment of the vision, mission, goals and culture. Every leader and every employee should know at all times exactly what their priorities are and how they fit with the strategy and goals of the organization. A how they both serve the mission. Second, you need to leverage the critical drivers – understanding and instilling the growth imperative, making change agility part of your company’s DNA, and ensuring you have the talent to innovate and execute. Third, the organization needs to build adaptive structures and processes– both business and human resources/talent processes and structures — that meet today’s needs but also prepare the organization for what’s next. Asking the right questions and finding the best answers will help even the most challenged CEOs and senior teams cut through the fog. Building a compelling strategy for what lies ahead… begins by design. Who Is On Your Personal Advisory Board? You’re standing at the precipice of a career-level decision. But all the options seem to have relatively equal merit – or equally poor merit. Perhaps the consequences seem a bit murky. What do you do? How do you choose? If you’ve developed an advisory board, you reach out to them for counsel. After you gain some perspective, you’re better prepared to make the decision and deal with the challenges that come with it. Everyone should have one. Few of us do. A personal advisory board is similar to an advisory board that many organizations make use of. Except that it’s for individuals. It’s typically not formal. And most boards don’t meet as a group, though some leaders are capable of garnering that level of support. For most professionals, it’s simply your own set of advisors that you can tap into. Sometimes, it’s for basic conversations; sometimes for helping you “sound out” ideas. Other times, for pointed advice. A good advisory board is more than just a random group of networking colleagues. To be sure, it leverages your networking skills to “assemble” the board, but it’s more intentional in its construction and purposeful in its usage. It certainly serves as part of your broader networking efforts, but is designed from the start to be more strategic and deeply advisory in nature. Be Intentional – Your board is assembled based on your career aspirations and specific professional goals. What types of knowledge, experience, and skills would be most helpful to you? Which roles, businesses, and industry exposure do you need? Create a list or a spreadsheet. From there, you identify the people you would like to “recruit” for your board. Think 360 Degrees – Seek out a varied set of people… those in leadership levels above AND below yours. Choose peers and employees. Leverage both clients and service providers. A well-rounded board is critical to helping you develop an agile approach to your thinking and decision-making. Diversify – One of the biggest mistakes leaders can make on the job is surrounding themselves with those who think, decide, and act just as they would. It creates group-think and limits the depth and breadth of your team’s capabilities. Know your blind spots and aggressively address them. The same applies to your board. Choose from across gender, ethnic and generational boundaries, among others. The more diverse your board, the richer your perspective. Evolve it– as your career and development needs change over time, so too should your board. You will have different challenges as an executive than you did as a supervisor. When you change roles or industries, the mix of your board should change as well. Also, no matter how carefully you choose your board members, some of them won’t work out. Perhaps their advice turns out to be ineffective. Or maybe they’re never available to you. Re-evaluate both the overall composition and individual members of your board at least annually. Selective but Multi-level – you have only so much time to devote to your own development, so you have to make choices. There’s no magic number, but 5-10 people seems about right. You should network more broadly but create at least two levels of your board. The 80/20 rule can apply here. You spend 80% of your time with 20% of your primary network. The rest is spent finding and cultivating relationships that will be important to you down the road. Pick straight-shooters – the worst advice is often the advice you don’t receive. You can’t afford to get sugar-coated or partial thoughts and ideas from people. Choose people who you know to be straight-forward communicators. And make your desire for frankness known. Finally, look for people who have the emotional intelligence to deliver such talk in a way you can hear and use. Practice Reciprocity – so far this all sounds a bit self-serving. It shouldn’t be. The only way this works in the long run is if you approach this from a win-win perspective. What do I have to offer? Do your members sometimes need advice, an introduction to someone, or help on a quick project? Return the favor. Even if one of your board members is a mentor well above your pay grade, ask sincerely and confidently how you can help them. How you leverage your board will depend greatly on a number of factors, including your comfort level and the type and quality of the members you recruit. Some people will stick to occasional conversations where they will try to absorb information and ideas. Others will ask for formal mentoring. A growing number of people have formal, scheduled developmental or problem-solving conversations every month, sometimes in small groups. Each person comes with one or two challenges they need to figure out, and they spend time bouncing ideas off each other. There’s no exact formula, but the more specific you are about your needs and your understanding of others’ needs, generally the more productive the relationship. We’ve all read the advice that we should manage our careers like we do our jobs. We should also take a page from forward-thinking organizations that leverage advisory boards. These boards become a strategic partner, helping the company with insights and advice critical to their success. By taking an intentional, disciplined approach to development and decision-making ability, leaders at all levels can reap the same rewards. https://i0.wp.com/nextbridgeconsulting.com/wp-content/uploads/0-2.png?fit=533%2C250&ssl=1 250 533 James Harvey http://nextbridgeconsulting.com/wp-content/uploads/logo-2-new_lngc2.png James Harvey2018-11-13 01:30:082018-11-13 01:30:08Who Is On Your Personal Advisory Board? In the U.S, on August 22nd there was a total eclipse that traversed the country. It was an event that captured attention, created interest and built excitement. As I was hearing about it and waiting for our partial view in New England, I was thinking about why this was such a big deal for so many people. Almost everyone I know was, at a minimum, interested in it and many were almost giddy with excitement. What if we could create this kind of feeling every day in our companies, to build companies people love? The experience is multi-dimensional: People experienced the eclipse through what they saw, the temperature of the air, the sound during the total eclipse, and more. Companies people love aren’t just defined by a vision, mission statement or set of values that are posted on a wall. That vision, mission and values are experienced in a multi-dimensional way, from what you see in the office design, to what you hear people saying, to the buzz you feel when you walk around. It’s rare or at least unique: Companies people love provide them an experience that is difficult to replicate. Others often look to these companies to try to recreate the culture. What they find is that it’s not something you replicate. It is something the company needs to define as uniquely theirs. There is a sense of meaning: The eclipse was meaningful to many people for many different reasons. Some were drawn from a scientific perspective (a group of scientists boarded plane so they could be among the first to experience it). Some were drawn because it was an event they could share with millions of others. 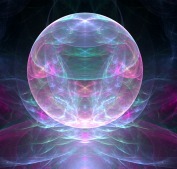 Some viewed it from a spiritual perspective. 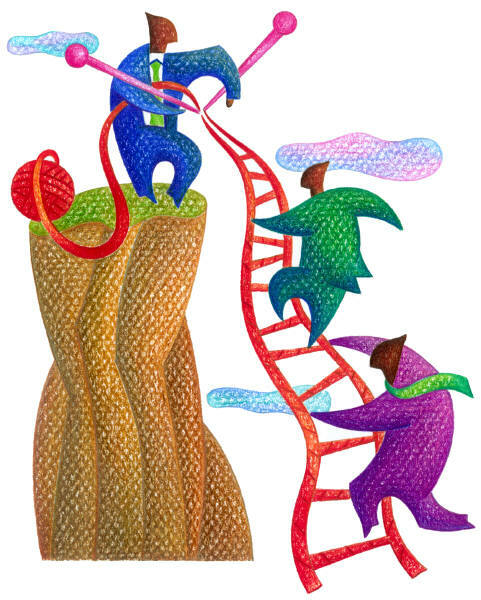 Companies people love create a connection with what their employees (and potential employees) find meaningful. It’s a shared experience: Those who work in companies people love have shared experiences that define who the company is. In some, it’s the way they onboard people (I wrote about my brother’s experience at Apple a few years ago). In others it’s the way people are recognized no matter their level. For some, it’s meeting the patients their therapy impacts. Those shared experiences live on after people in these companies move on to other jobs. You see them in active company alumni networks. They share common stories. And, they often say working there was one of the best experiences of their work lives. It creates anticipation about what great thing we’ll do next: After the eclipse, many people described it with one word – wow. And, at least in my house, we were talking about when the next one would occur. When you experience an event that takes you out of the ordinary, as many companies we love do, you want to know what the next great thing is and how you can be a part of it. At NextBridge Consulting, we help our clients work at becoming companies people love. We help them define or refine and then operationalize their mission, vision and values. We help them develop leaders who make people say “I want to be part of this,” even when the company is moving at a dizzying pace. We work with them to develop teams and organizations that create alignment. How can we help you? Earlier in my career, I was interviewing with the SVP of HR, the chief people officer, for a senior role in a large organization. He was still fresh to the company, having been there about 6 months. I asked him where the firm was going and what made him get up in the morning and go to work. He looked at me and with a shrug said “Edith, its insurance,” like it was the craziest question in the world. How silly to expect that a senior leader, six months into his job would be able to articulate a compelling picture of the place he worked. He had a golden opportunity to communicate his vision of what this organization was about and where it was going and he came up with nothing. There was no second interview. This story is not meant to reflect badly on the insurance company. I know plenty of executives in insurance companies who would answer that question very differently. This SVP obviously wasn’t able to communicate a vision. Over the past 18 months, many of our organizations have been lacking in “the vision thing.” We’ve been focused on a lot of things that were important but that people perceive as negative — cutting costs, losing sales and revenues, reducing headcount. But as the recovery starts, we need to think about where we want to go from here, because it won’t be where we were before 2008. Where does my organization (or division or group or…) need to go? Why are we going in that direction? What will we look like a year from now? What top priorities will get us there? How will we know we’re successful? Why do I want to be part of this? Why should someone else want to be part of this? If your answer is “I don’t know” to any of these you’re going to be less able to attract or retain top talent as you move forward. You’ll be appealing to people who want a job but not attractive to people who want to make an impact. Without a sense of where they’re going you’re people can’t perform at the high levels you need. Wouldn’t it be nice if we could go to the tarot card reader or crystal ball seer to know where our businesses and industries are headed? What’s the next trend? What needs will our customers have? How do we keep our brand, products, and services relevant? As leaders we are always balancing today and tomorrow — keeping one eye on the demands of today while keeping the other eye on the opportunities and threats of tomorrow. That said, by just taking a few minutes a day we can keep that future in view, giving us the information and ideas that we can translate it into meaningful actions for our business today. The following are some common sense ways to keep ourselves thinking about tomorrow while we’re making success happen today. How many do you do on a regular basis? Take a look at your company news releases on the intranet. Follow an RSS feed, blog or trade journal about completely different industries than your own. If you’re in healthcare, follow a high tech guru. If you’re in biotechnology follow something from the hospitality industry. You never know where a great idea will come from. After all, 20 years ago who ever thought we’d listen to music and play games on our phones? Read newspapers from emerging markets. The internet makes it easy to access English language versions of many publications. You can also listen to the radio or podcasts. I listen to the BBC a couple of times a week when I’m driving to and from meetings. I’m always amazed by the completely different topics and regions of the world it covers compared to U.S.-based news. Talk to someone younger than you. Try to talk to someone a generation younger than you. Their perspectives and insights, especially related to technology, will amaze you. Go to a meeting where not everyone does what you do. I always walk away with a much broader perspective when I have been at a meeting with people whose business or profession is completely different from my own. Work through ‘what if’ scenarios about your business. Think of what’s highly probable and what’s less probable. Then develop ideas for how your company or team would address that scenario. For example, what if someone came into the market who could deliver the same quality product at 1/3 the cost? What if a new technology allowed people to access your product for free or a very low price? Why Should I Follow The Leader? Earlier in my career, I was interviewing with the SVP, the chief people officer, for a senior role in a large organization. He was still fresh to the company, having been there about 6 months. I asked him where the firm was going and what made him get up in the morning and go to work. He looked at me and with a shrug said, “Edith, it’s insurance,” like it was the craziest question in the world. How silly to expect that a senior leader, six months into his job would be able to articulate a compelling picture of the place he worked. He had a golden opportunity to communicate his vision of what this organization was about and where it was going and he came up with nothing. There was no second interview. Why do I want to be a part of this? Why would someone else want to be a part of this? If your answer is “I don’t know” to any of these you’re going to be less able to attract or retain top talent as you move forward. You’ll be appealing to people who want a job but not attractive to people who want to make an impact. Without a sense of where they’re going, you’re people can’t perform at the high levels you need. http://nextbridgeconsulting.com/wp-content/uploads/logo-2-new_lngc2.png 0 0 nextbridgeconsulting http://nextbridgeconsulting.com/wp-content/uploads/logo-2-new_lngc2.png nextbridgeconsulting2015-12-16 08:00:172015-12-16 08:00:17Why Should I Follow The Leader? 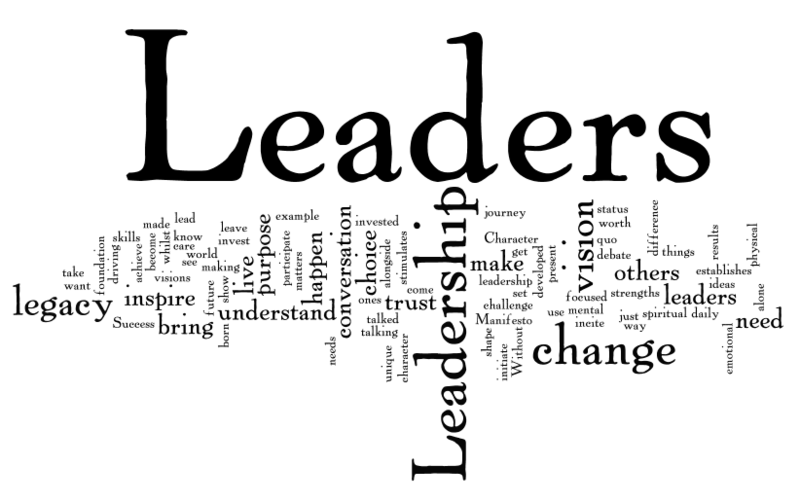 I’d like to share a couple of great pieces on leadership philosophy from 2011 that remain as important and relevant today as they did then. The first one is a Harvard Business School research study which shows that 14% of a firm’s performance is dependent on its leaders, 86% on the ‘followers’. This statistic is in an I4CP report about the 5-domains of high performance. Click here to download the report. It’s an easy read and reinforces a great deal of what our philosophy has been for years — performance comes from the combination of consistent, clearly communicated strategies, leadership that is talent- oriented and committed to the right talent working in an effective, strong culture with a strong market-focus. Another great piece from McKinsey is about the importance of organizational health on performance. The author’s central message is that focusing on organizational health -the ability of your organization to align, execute, and renew itself faster than your competitors can -is just as important as focusing on the traditional drivers of business performance. Organizational health is about adapting to the present and shaping the future faster and better than the competition. Healthy organizations don’t merely learn to adjust themselves to their current context or to challenges that lie just ahead; they create a capacity to learn and keep changing over time. To read the article in its entirety, click here. Picture this scene. We come into work on Monday morning and everyone is gathered around the coffee station, talking about their weekends. Several people share the litany of activities they were involved in — ‘we went to Home Depot, watched my daughter play soccer and caught a movie.’ You start to think, “I really need to get to my desk and get to work.” Then someone says, “Let me tell you what happened at this event I attended Saturday night. We were all sitting down to dinner when…”. Your ears perk up, you really start listening and that work you needed to get to can wait. You’re pretty sure you’re about to hear a great story. Odds are that story will be repeated by everyone in the group to at least one other person. On the other hand, very few people will remember the trip to Home Depot. Leaders can learn a lot from great storytellers. Leaders need to influence people to move in a particular direction, to buy into a vision, to join you in tackling a challenge. 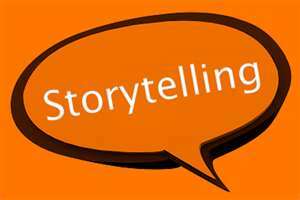 Great storytellers know how to convey information so that we respond both emotionally and intellectually. In a post from American Economist Olivia Mitchell, she shares tips on how to tell stories like one of the great storytellers, Malcolm Gladwell (author of Outliers, Blink, The Tipping Point). She uses examples from a chapter in Gladwell’s book Outliers to illustrate her points. Gladwell’s book explores why certain people are exceptionally successful. We hear personal stories and detailed statistics – but Gladwell always starts with a story about one particular person. Before he starts his story, we get a description of the main character. So as Gladwell tells his story, we can visualize the person in our minds. He describes in vivid detail the circumstances that the character faced. He gives examples that bring it to life. important. He creates a bit of a mystery and promises to unravel it. then shows how it is a story shared by many, many people. Gladwell adds the clincher to prove his point. The power of stories is real. A large part of my work is facilitating teams and groups. One thing I’ve noticed is the impact of stories on involvement and engagement. When I start a sentence with “Let me tell you about a time when..” or “let me tell you a the story of…” The heads in the room pop up, people lean forward, IPhones they were looking at under the table are put away. We all are looking for that emotional connection in the sea of facts and information we’re exposed to at work every day. Stories from leaders make them more human, help people identify with the what and why of a situation and to take action. How have you used stories today?